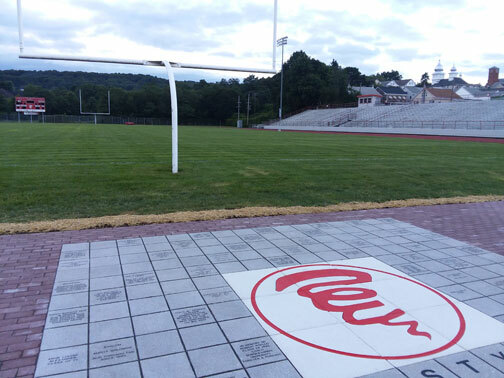 The Mount Carmel Area School District has begun a Red Tornado Legacy Brick Project at the MCA Silver Bowl. All proceeds will go to the general upkeep of the Silver Bowl stadium. Location for the project will be in the south end zone. The project will include a brick 6 foot by 6 foot water jet image of our “Red Tornado” logo in the center. The logo will be surrounded by 4 inch x 8 inch ($100) and 12 inch x12 inch ($250) bricks. The 4x8 brick can include 3 lines of 18 letters per line. The 12x12 brick can include 7 lines of 18 letters per line. The latest Tornado Alley brick orders are due May 1, 2019. Ordering by this date will guarantee your brick will be placed for the start of football season. The second order due date is October 1, 2019. Our goal will be to place the bricks at the stadium before the winter weather arrives. Moving forward orders will be placed twice per year: May 1st and October 1st. Contact the JH-SH Principal office for more information. Go Big Red! Contact the JH-SH Principal office for more information. The goal is to create a new tradition and gathering place for fans before sporting events at the stadium at the brick project site. The site will also include a wall with the famed “Mount Carmel Silver Bowl” lettering. 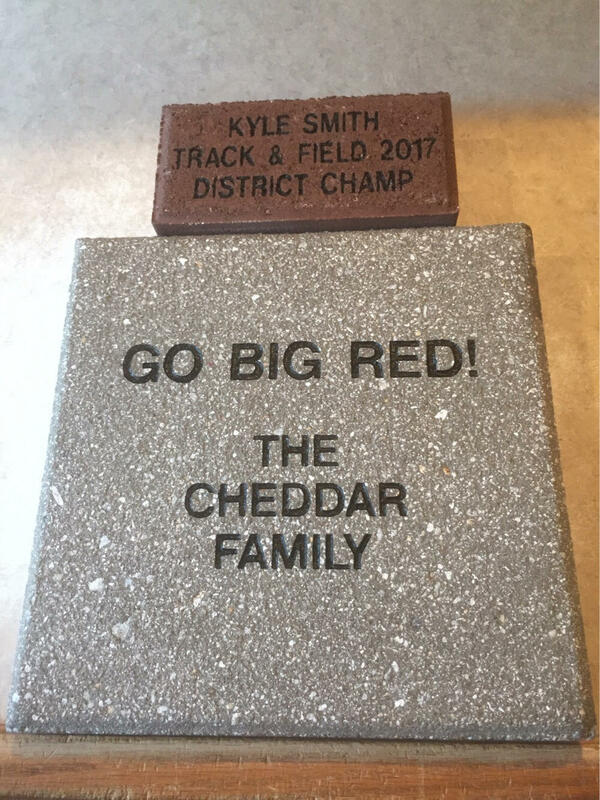 For more information about the Red Tornado Legacy Brick project please contact the MCA JH-SH principal office, athletic office, district office at 570 339-1500 or Jose Gonzalo at rxmanjag@gmail.com. Orders can be made by printing the Red Tornado Legacy Brick Order Form and sending in your check to Mount Carmel Area School District Education Foundation, 600 West 5th St, Mount Carmel, PA 17851 or complete your order online below. The district is also offering opportunities to display full-size 3 ft. x 8 ft. billboard signs along the southern fence visible from anywhere on the field, track, and bleachers. The Silver Bowl is home to dozens of athletic and community events per year including the Breslin Invitational Track Meet, junior and senior high track meets, Red Tornado Varsity, JV, Freshmen and Junior High Football and Mount Carmel Jets Football. In addition, the facility is open to the public from April through November during daylight hours for runners and walkers. More information on signs is available below by using the “Get more information” button. Prices are discounted for three and five year commitments. Full-size sign 3 ft. x 8 ft.